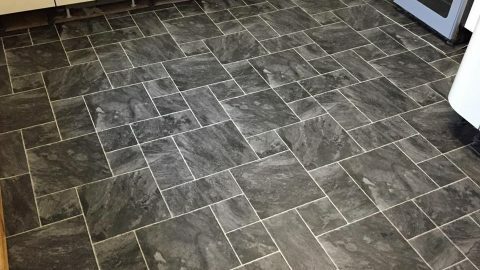 Affordable flooring, suitable for most rooms but particularly ideal for kitchens and bathrooms. Water resistant flooring. Comes in a variety of designs ranging from wood effect, tile effect (wider tiles and mosaics), plain-coloured vinyls and various patterns. All our vinyl ranges are R10 or R11 rated (meaning they are non-slip, even when wet). Prices start from £8.99 SQ MTR, ranging from 5-15 year warranties. 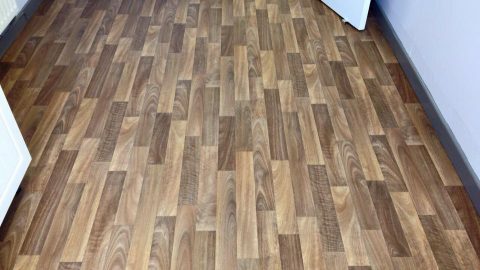 Relatively new product on the market, which combines the water resistance and warmness of vinyl flooring whilst fitting together in planks like laminate flooring. Most of the ranges we sell click together in exactly the same way that laminate does, making it easy to install should you prefer to fit it yourself (however a fitting service is available). This product is also suitable for commercial areas.